How can I reclass my landuse data with Manifold 9? Home - General / All posts - How can I reclass my landuse data with Manifold 9? After several days of studying manifold 9 by using viewer, I did not find the way to reclass my landuse data, do you know if it is possible? That is the key point for me to decide to buy it or not. Thank you very much! What do you mean by "reclass my landuse data?" You know there are landuse codes for each class in the data saved as GRID or GeoTiff file, for example, 10 for grassland, 20 for woods. But I need to remap the codes to a different one, for example, both grassland and woods I need use 1010 to reprsent it. 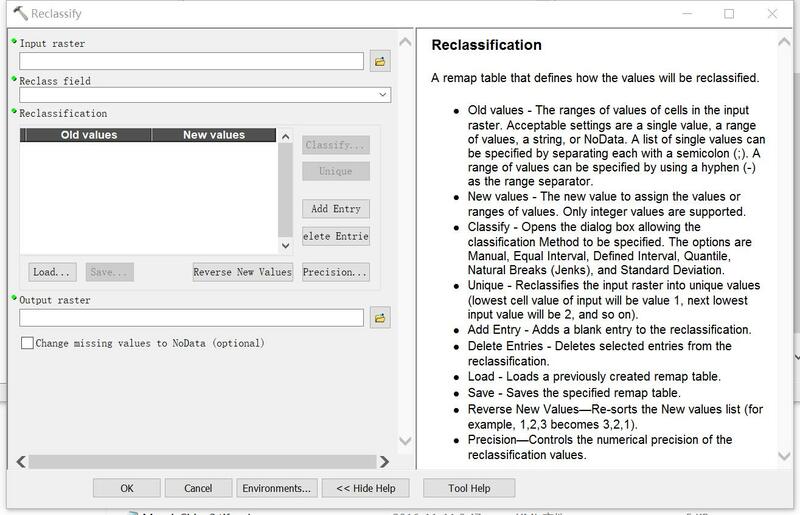 Just like in ARCGIS, sptial analyst reclass tool works. Sometime it is called reclassify. See the Example: Trace Vector Areas from Raster Pixels topic. A "classification" is just assigning meaning to a given code in a pixel. Create your vector areas from whatever pixels you have and then add a new column to the table with whatever values you want for each such area. Color the areas by whatever palette you want, adjusting colors to match the new codes you have in the new column. Thank you very much for your solution, that's great for me. A further question is: Can I export the modified vector result as a raster file, for example GeoTiff? Because I need to give the raster result to other applications. But even if there were, it would be wasteful (and possibly inaccurate) to use a raster-vector-raster workflow for this task. A raster-only workflow is more natural and more efficient. So, getting back to your original question though--how to reclassify pixels in a raster. That is readily adaptable to more detailed changes (including all of the adjustments available in the screenshot you have posted below). However, it is currently more difficult in Manifold 9. The underlying reason for the difference is that while Manifold 8's storage model gives direct access to individual pixels, Manifold 9 uses a storage model based on tiles (regular grids of pixels, sub-images if you like). The tile-based model is more efficient and faster. More importantly, helped by other features of Manifold 9, it is scalable to rasters of indefinite size, while the pixel-based model in 8 starts to become unwieldy if raster data does not fit within available RAM. A lot of simple tile-based functions are already built in to Manifold 9. Not everything is fully optimized yet, but on the whole it is already very efficient. But so far, not everything is easy as it could be--and your task is a great example. to perform the same operation as the Manifold 8 code above, potentially much faster. But for now, a "simple" reclassification operation is significantly more complex than it is in Manifold 9. The detail is that we must use TileToValues to break each tile into a table of pixels, pass the table to a function to filter and reclassify, then* recombine adjusted pixels into a new tile, which we can then use to replace the original. In summary, for now, it's a bit of work to do image reclassification in Manifold 9. There is plenty of room to make it significantly easier, and I am very confident that that will happen before very long--especially if we make feature requests along the necessary lines. Thank you so much for your detailed answer which let me understand what is under-going. Anyway, If vector-to-raster support in Manifold 9 is coming, once it's available, I think that also can help me to some extent. So I am going to get Manifold 9 first , and waite for the coming features.